Coffee is so versatile. That’s what I love about it. You can drink it black, with a dash of milk, a bit of half and half or with creamer. Add sugar or don’t. Nothing really dulls that basic coffee flavour that’s so powerful and robust. Though I don’t experiment too much with my cup of coffee at home, I try to keep myself up to date with the latest trends in coffee drinking. I am always open to new ideas. But this one trend stopped me dead in my tracks - Salt? In Coffee? Yes, you heard right. Why, oh why would you do that to your precious cup of joe you ask? Turns out salt counteracts some of the bitterness in coffee and rounds out its flavour. This is backed up by science. When science talks, I tend to listen. Contrary to popular opinion Caffeine does not make coffee bitter. According to scientists at the Technical University of Munich in Germany, just about 15% of the bitterness in coffee comes from caffeine. The bulk of the bitterness in coffee comes from two classes of compounds - Chlorogenic Acid Lactones and Phenylindanes. Both these compounds are antioxidants found in roasted coffee beans and not the raw, green beans. Chlorogenic acid lactones are present in lighter roasts and phenylindanes, which are the breakdown products of chlorogenic acid lactones, are present in darker roasts. This clearly goes to show that the stronger you roast your coffee the harsher and more bitter it gets. Bad brewing habits could also be making your coffee bitter. Over brewing the coffee, or letting it steep for too long produces bitterness. Using very hot water, or boiling water to extract coffee tends to make your brew bitter. 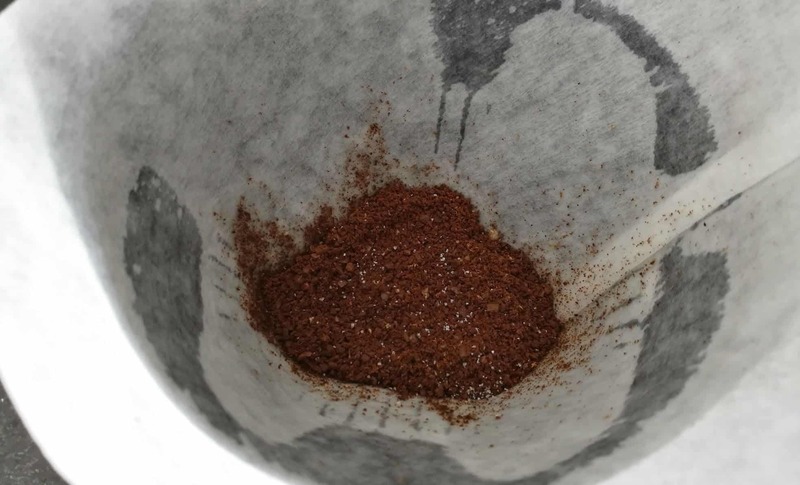 Using too fine a grind, using too much coffee in proportion to water, using stale or poor quality coffee beans or using dirty brewing equipment all lead to a bitter tasting product. To understand why salt helps tame this bitterness, we need to first understand how salt operates. How Does Salt Combat Bitterness? It all begins on the tongue. The surface of the tongue is lined with thousands of taste buds each capable of identifying the 5 basic tastes - sweet, salty, bitter, sourness and umami. Food on the tongue sets off a chemical reaction that is then transmitted to the brain. That’s how you identify taste. Research shows that the biological mechanism of producing sweet, salty, sour and umami flavours are similar. Salt, while being a taste itself, works to amplify these other flavours. Bitterness, on the other hand, operates differently. Instead of the normal reaction, the taste buds release a calcium ion that send a ‘bitter’ signal to the brain. Salt, for reasons not yet demystified, overrides this reaction on the tastebuds thereby masking the bitter sensation. So, Salt Does Help! But How Should You Add It To Your Coffee? According to Alton Brown, a very popular cookbook author, adding a quarter teaspoon of kosher salt to 6 tablespoons of coffee grounds neutralizes the bitterness and acidity in coffee and enhances its inherent sweetness. You can then choose your preferred method of brewing this salted coffee. That being said, there are no rules or recipes to follow here. You can either add a small pinch of salt to your grounds before brewing or add a tiny pinch to an already brewed coffee to balance the flavours and round them out. 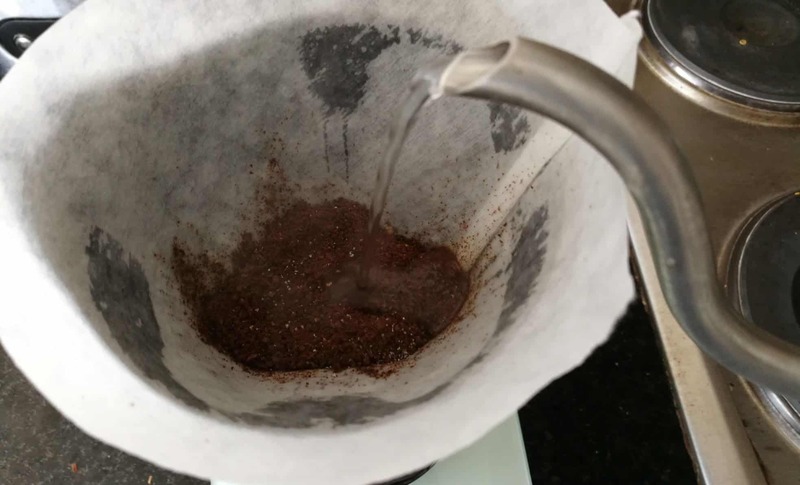 Just make sure you don’t overzealously add it to every cup - only when you feel the coffee is of poor quality, has gone a little stale or has been over extracted. Believe It Or Not, This Is Not A New Trend! There has been a long standing tradition of adding a pinch of salt to coffee in Northern Scandinavia, Siberia, Turkey and Hungary. In fact in the coastal regions, where rivers meet the sea, people have been using brackish water to brew their coffee. Brackish water has more salinity than freshwater but not as much as seawater. Using this to brew coffee increases both the intensity and foaminess of the end product. Are There Any Health Benefits To This? Coffee itself has many health benefits. It is loaded with antioxidants and contains quite a few important nutrients such as Potassium and Magnesium. Coffee may also lower your risk of certain diseases such as Parkinson’s, Alzheimer’s and Dementia. Coffee improves your energy levels, gives you an adrenalin boost and helps you burn fat. When you add cream, sugar, syrups and flavours to make your coffee more palatable you’re only piling on empty calories while simultaneously negating some of these health benefits. So if you are trying to clean up your act, adding salt to your coffee instead of calorie dense additives can help you keep a check on your diet and still enjoy that cup of liquid jet fuel that you crave so much! Another reason to love salt in coffee - salt helps replenish some of the sodium that your body loses when you drink coffee. Studies show that just four cups of your favorite coffee per day could cause you to lose as much as 1200 mg of sodium which is actually your recommended daily intake. A pinch of salt added to your brew should help you regain some of that precious sodium. If coffee gives you acid reflux you should closely examine the quality of your coffee grounds and the roast on your beans. Light to medium roasts have a greater acid content than darker roasts. So switching to a dark roast, good quality Arabica bean, for example, could solve your acidity problems. If you are stuck with a poor bag of coffee, however, adding a pinch of salt to your coffee could definitely help with taming some of that acid reflux. Should You Now Swap Milk And Sugar For Salt In Your Coffee? Not Really. A high quality coffee, when roasted and brewed well, tastes great all by itself. It will be mildly bitter but in a way that enhances the flavour of your coffee on the whole. It will not need sugar or milk to make it drinkable. But taste is subjective. So if a sip of your coffee makes you grimace then go ahead and add that pinch of salt. It will cut out the acidity and bitterness and will smoothen out the flavour and make it more mellow. Just remember that a little goes a long way! My wife gets small pimples over her mid-range body anyone knows how to stop this reaction.? have you tried putting salt in her coffee? If she adds milk or sugar to her coffee then she's likely experiencing toxin release due to microbial blooms. It tends to be excreted through the skin when the body can't eliminate it otherwise. She may have digestive or liver deficiencies / problems. Or she could have an allergy to milk or to some of the chemicals released by the microbial die-off. Best way to figure it out is to do a simple elimination diet. Have her cut out milk, but not processed sugar (if she takes sugar with her coffee), vice versa and then both for 3 days each step. Make sure she avoids milk or sugar in other foods and drinks, not just the coffee!